We should actually call this the Delonghi indoor grill reviews since we all know that an electric grill is the only type we can use inside. Charcoal or gas grills are to dangerous because of the Carbon Monoxide they produce. DeLonghi is an Italian company and the name is actually spelled De’Longhi. Delonghi produces a lot of indoor electric grills. From reversible grills to electric barbecue’s. 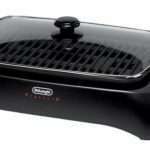 We have found the most selling and highest rated DeLonghi grills and will review then in depth on their own page. 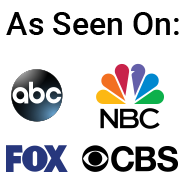 Here you can find a resume of our review and a link to the whole review. The DeLonghi perfecto is without doubt the most popular model from the indoor grills. Without having to dig to deep we found over 1300 people who were willing to share there opinion about this BG24 Perfecto. 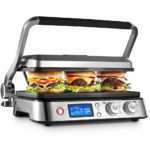 We like to give all the products we review a rating that is based on our own research and opinion and this indoor electric grill we have to give a 4.3 star rating out of 5 stars. You can read the full in-depth Delonghi BG24 Perfecto Indoor grill review here. In a hurry? Click Here! to see the price. The whole name is the DeLonghi America CGH1020D Livenza all day combination contact grill and open barbecue. And it an stainless steel version. The 5 cooking options make this grill very versatile and usable for about all your indoor grill demands. 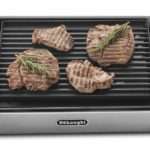 Contact grill, Panini grill, and options like half griddle or whole griddle in combination with the barbecue function makes me wonder why this is not at-least as popular as the BG24 grill. That is why we gave it a 4.6 star rating out of 5. We will give you all the detail in our full review. You can read the full in-depth delonghi-america-cgh1020d-livenza-all-day Indoor grill review here. With an adjustable thermostat that can go from 200 all the way to 400 degrees you have a temperature range that will provide you every temperature you need for your cooking. The reversible option for the grill plate has a smooth flat side for vegetables, bacon eggs etc and the side with the ribs is perfect for meat and fish. The ribs will prevent the meat or fish from cooking in its own grease and this is a very unhealthy. The fat and grease will be caught in the removable grease tray for easy cleaning. You can read the full in-depth Delonghi BGR24 reversible grill/griddle Indoor grill review here. I always like to know a little about the history of a company I buy from. DeLonghi is a very old company that started over a century ago in Italy in the city of Treviso. They started out in a small workshop and there strength was a strong commitment to quality and customer service. In the 1950’s the company the company expanded to a full developed and kept expressing the families love for innovation and design. The DeLonghi or De’Longhi as it official is, is well know for all their small kitchen appliances like but not limited to coffee makers, indoor grills, kettles, toasters etc. Grilling indoor is different from grilling outdoor. There are outdoor electric grills but that is still different from using a grill inside. An indoor electric grill is the only grill you can use indoors. Even in your garage it is better not to use a charcoal or propane grill. The charcoal and propane will give of Carbon Monoxide and as we know this is a gas we can not see or smell, but is extremely dangerous and will kill you. Electric grill do not produce this dangerous gas since there is no open flame. This might sound as if is very safe to use an electric grill inside but we still have to aware of several things. First of all. You are inside!! If something goes wrong the results can be devastating. That is why you should never leave your indoor electric grill or griddle unattended. Even on the most safe griddle or indoor barbecue the grease dripping can catch fire. To prevent a lot of smoke, and decrease the risk of a fire, try to trim of as much fat of your meat as you can without taking away all the flavor that is sometimes in that part. Lean meat is healthier anyway. Use commons sense when using your indoor electric grill to be safe and read our reviews to decide what is the best product for you. Read all the best indoor grill reviews we did here!